Amazing Pictures Of Roses In The Rose Hall Of Fame. We all have our favourite roses. These pictures of roses are of those inducted into the Hall of Fame. Whether you like the old-time roses, the hybrid teas, the single roses, the miniatures, the highly fragrant, the climbers, or the cascading and standards or weeping roses, I hope there are a few for you here, too, and on the following pages. And remember that because they have won so many awards, they are all disease resistant roses. The most famous roses are those which are multi-award winners; those named after people and famous people; and those which have been inducted into the Rose Hall of Fame (there aren't many of these. You have to be a special rose to be chosen for this prestigious position). There are two categories: Old Roses and Modern Roses. Old Roses in the Rose Hall of Fame. Gloire de Dijon. (Original Inductee 1988). Bred in 1853. Also known as 'Old Glory' and 'Glory John'. 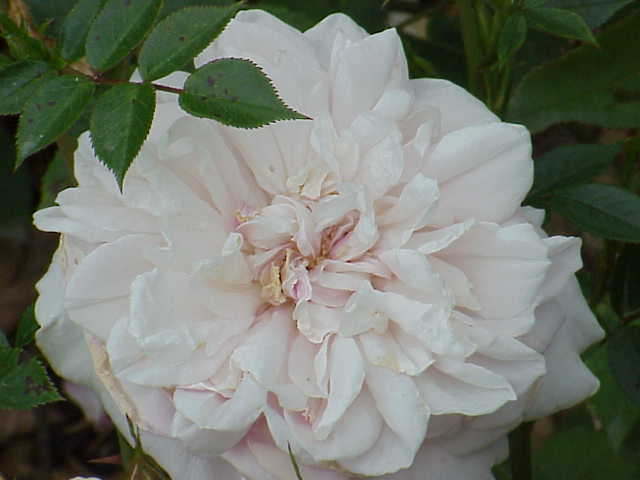 This is a very hardy, reliable rose which never seems to stop flowering for at least 6 months of the year. It will grow to 18 feet. 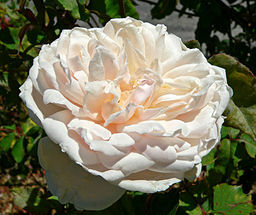 'Gloire de Dijon' is a Climbing Noisette Rose which was one of the very first roses to be accepted into the rose Hall of Fame. Why so special? It is an old rose with old world charm. It is a climber, and it is repeat-flowering. From Spring into Autumn. 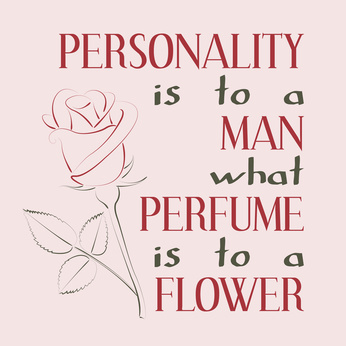 It even has a strong, rich fragrance and most of all it is tough. 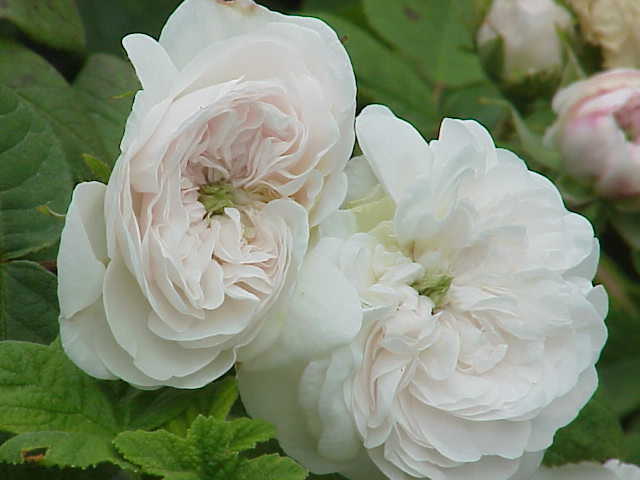 'Mme Alfred Carriere'. Inducted in 2003. Another old world rose. And a climber. It is almost thornless and highly fragrant. It will reach about 20 feet. And it is tough and disease free. Very few roses can match the beauty, size and elegance of this beautiful rose. The white flowers are softly suffused with pink and it will even tolerate some shade. I owned this rose but lost it when I left to move interstate. Photo Credit: Stan Shebs. Mme Hardy inducted in 2006. 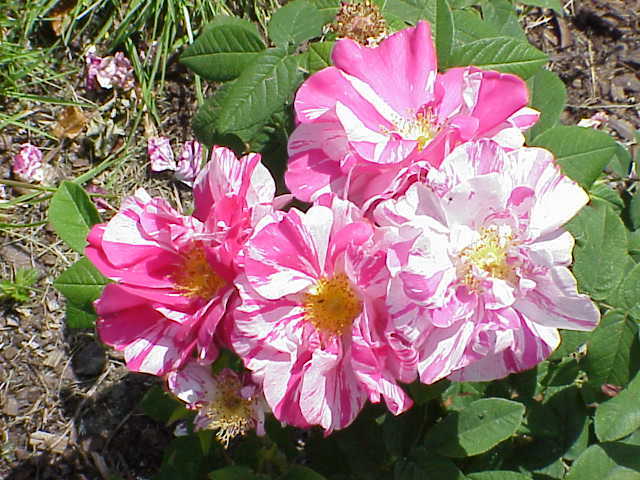 A tall shrub rose with outstanding blooms, but is only once-flowering. Very strong fragrance and very tough. 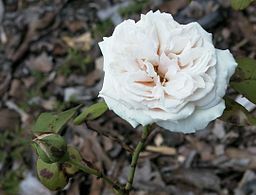 A white musk rose grown by the rose breeder Alexandre Hardy in 1832. Old Blush. (Original Inductee 1988). A beautiful old china rose bred in 1752. 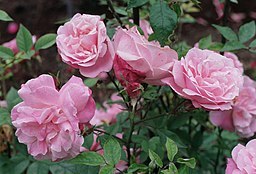 Well known for its long flowering period, this rose is a tall shrub or even a climber. Medium fragrance, but best known for its flowering habit and hardiness. It is also known as 'Parson's Pink'. It flowers for a very long period in late summer to early autumn. Gallica Rose 'Mundi'. Inducted in 2009. Before 1581. This rose is a once-flowering tall shrub rose and makes an excellent hedge. Medium fragrance, excellent show-piece for any garden, and it is very tough. 'Souvenir de la Malmaison'. (Original Inductee 1988). Developed in 1843. A climbing or shrub rose, this beauty is a repeat bloomer. Height 10' - 20'. It has a medium fragrance and is very tough. Named after the home of the Empress Josephine. Rosa 'Chinensis mutabilis'. Inducted in 2012. I think that this rose is the best of all the pictures of roses I have seen. It is a truly beautiful rose in real life. My daughter has grown it and it is certainly a stunner. 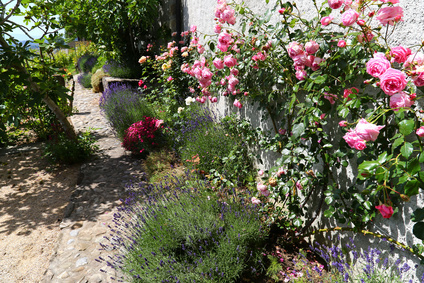 This rose is also drought resistant (as well as being disease resistant). It flowers from spring right through until the first frost. This rose is a 'must have' for any rose lover. Beautiful perfume and always has three shades of yellow, pink and orange, as the blooms mature. Exceptional in every quality. 'Gruss an Teplitz'. Inducted in 2000. It is also known as 'Virginia R. Coxe' and 'Salut a Teplitz'. A very old shrub rose which is a combination of China, Bourbon and Tea. It exhibits continuous flowering for a very long period. Go to Page 2 ( Pictures of Modern Roses in the Hall of Fame). Return from Pictures of Roses to Home Page. Chinese proverb: "One picture is worth ten thousand words."